I am Cristal but every one calls me Pinky. 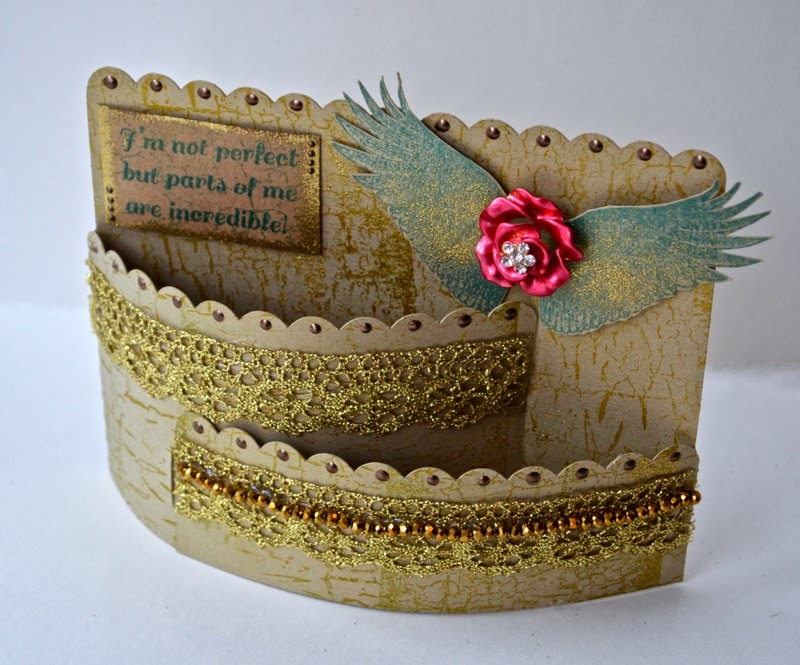 I am excited to be the guest designer for stamps in February! I am looking forward to a fun relationship with SCS. I have an interesting card to share today with you. 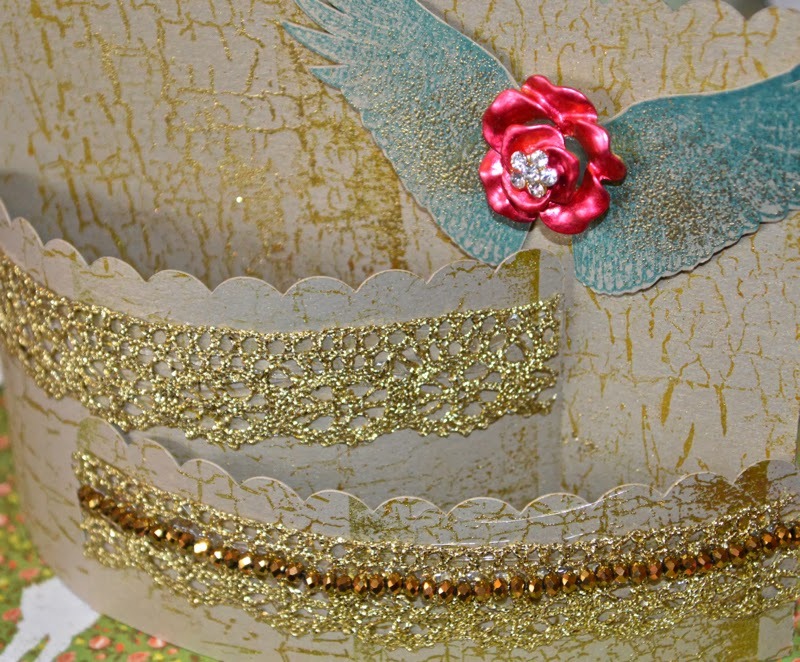 an amazing layered card that is easy to create and really interesting to look at. Silhouette/SVG store. I used a file by Samantha Walker in her Silhouette store. 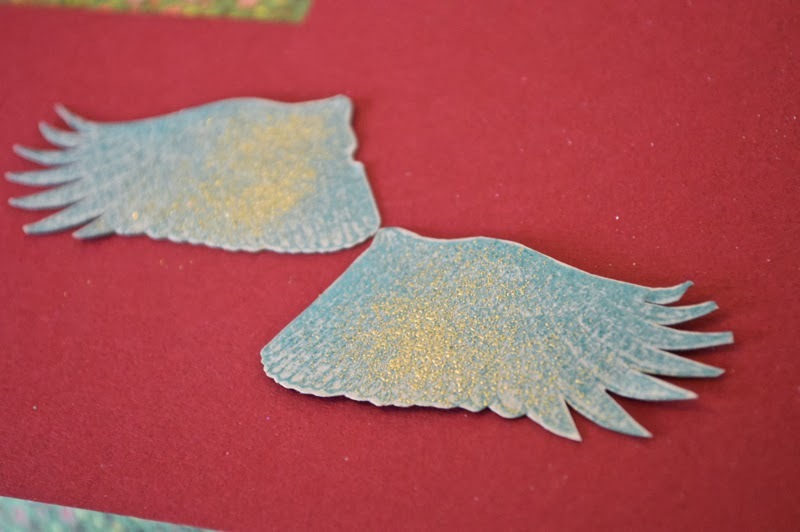 I used a beautiful shimmery card stock for this (CutCardStock). 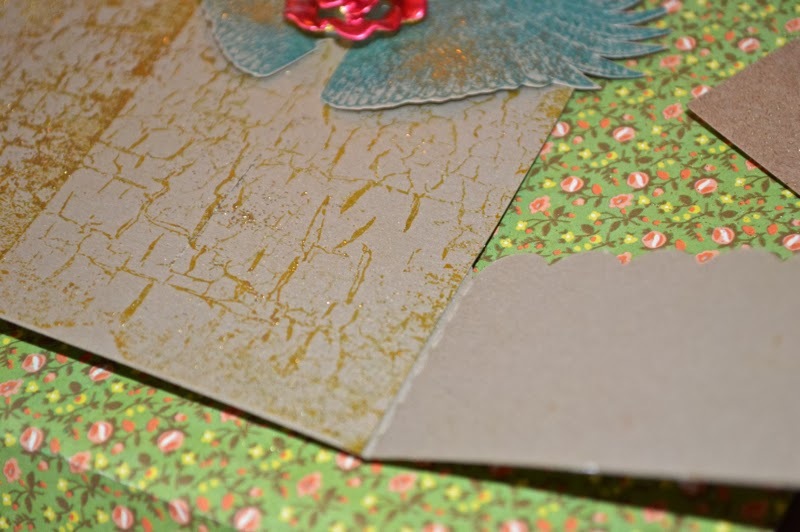 I am going to share step by step how I made this card. 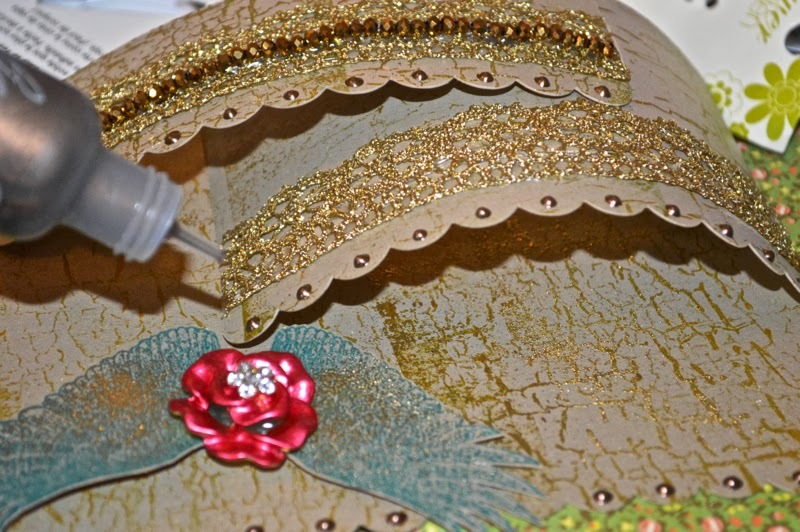 Trim out Scalloped Bendi Card using Silhouette Die Cut machine. 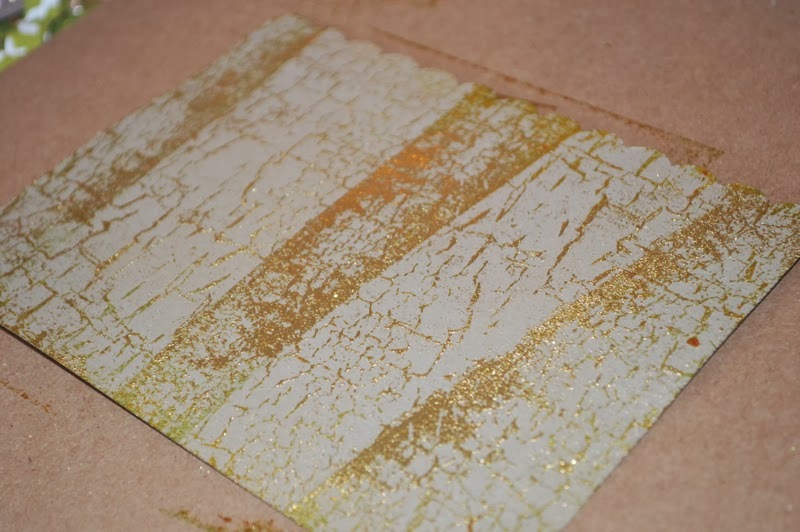 and Gold StazOn- crackle entire card. 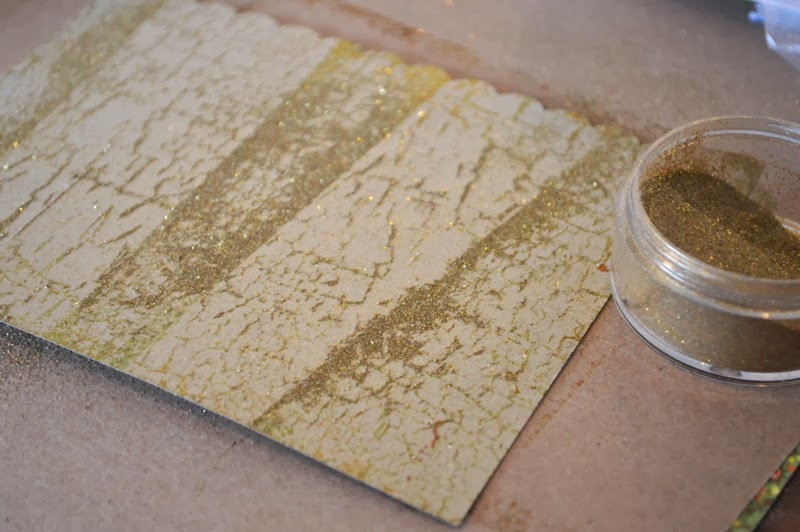 Lightly dust with embossing powder (gold), and heat emboss for extra texture. 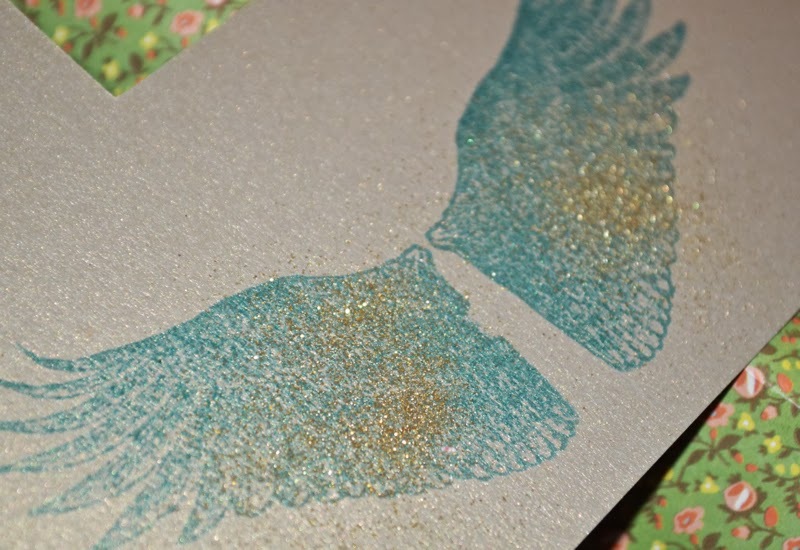 and StazOn ink in Teal- stamp onto Kraft cardstock. 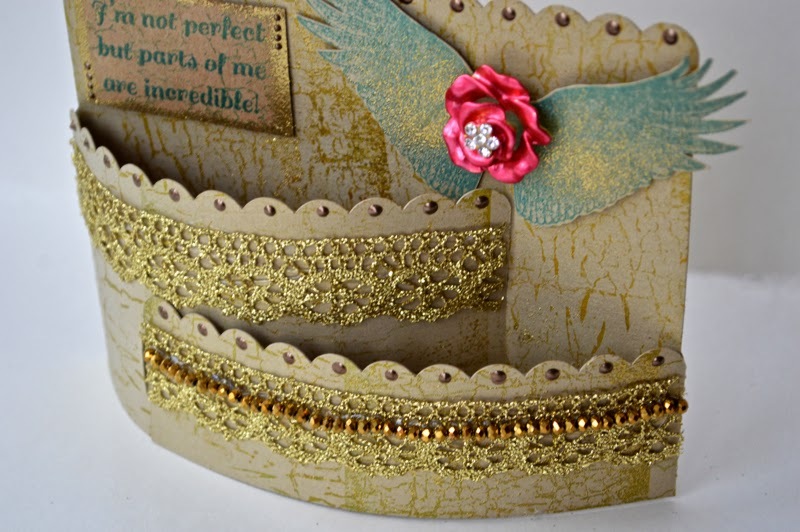 Dust centers with gold embossing powder and emboss. 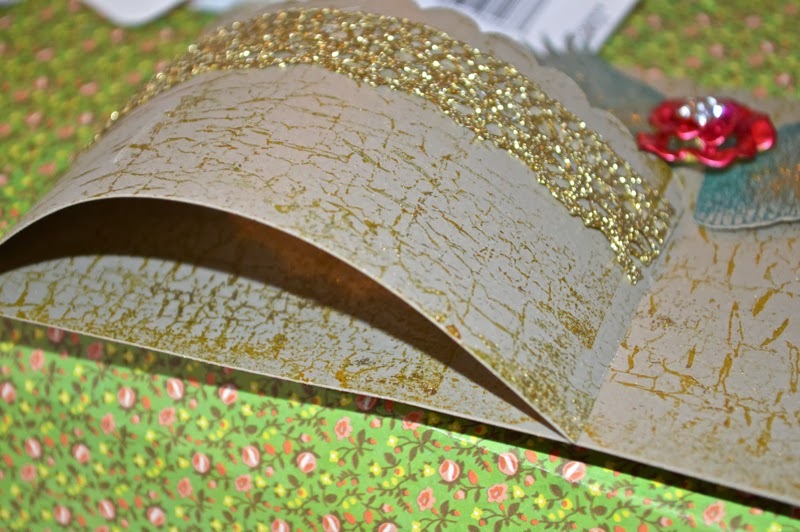 Using Xyron Tape- adhere gold ribbon to card panels. Then hot clue Connie Crystal- crystals over lace in a strand. 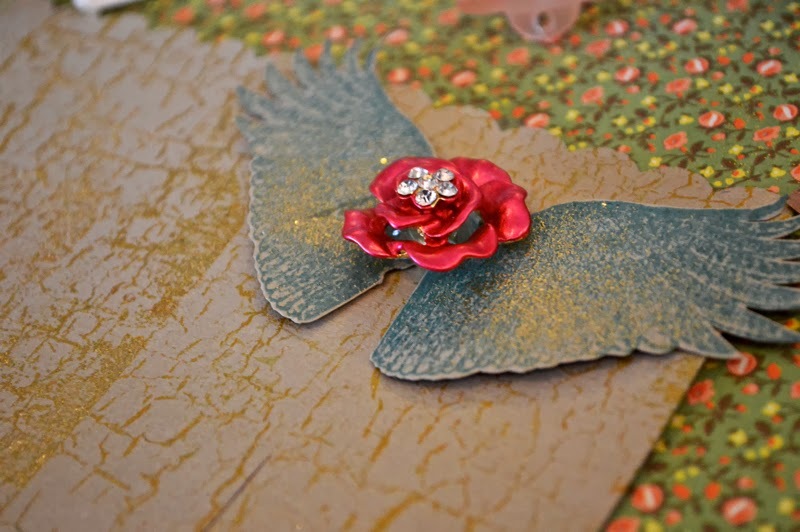 then added a Button Lovers metallic rose button. 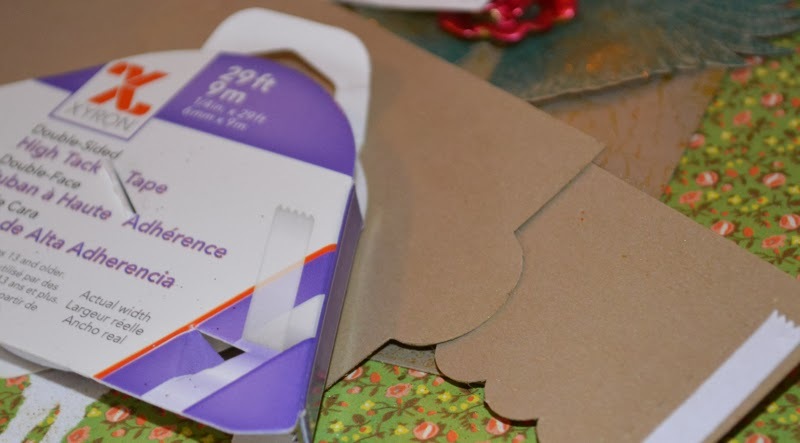 Assemble card as instructions show using Xyron High Tack Tape. Fold each panel in. 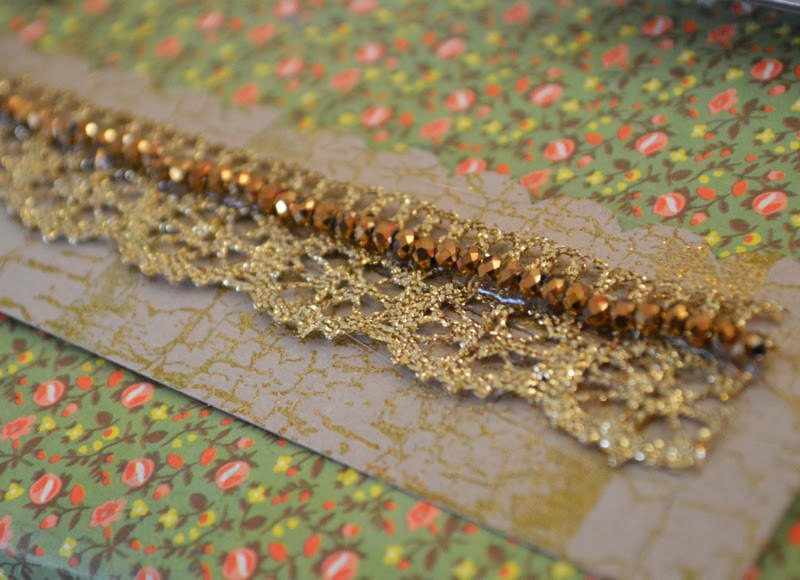 then add Liquid Pearls to the scalloped border. 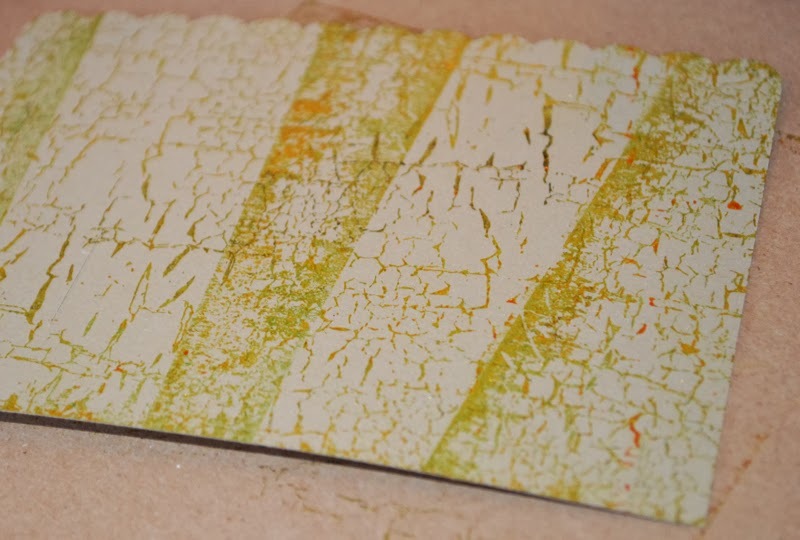 onto Kraft card stock and add crackle texture stamp as well. Trim out and adhere to top corner. 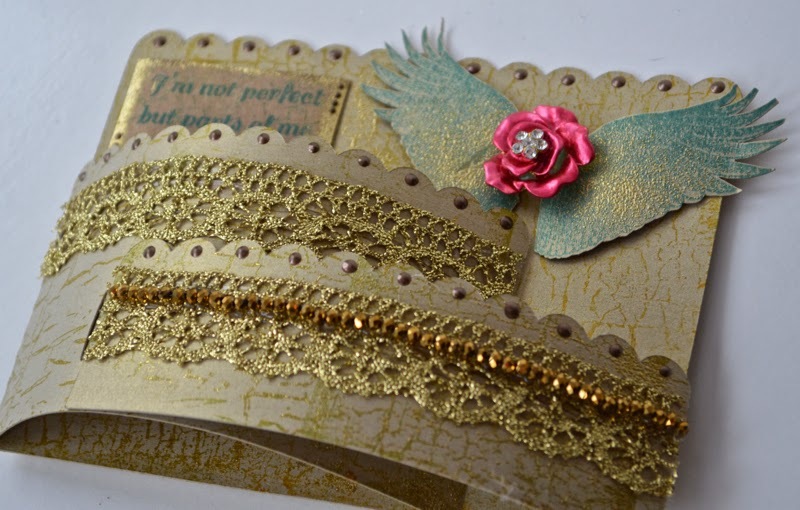 In the end you have a beautiful card ready for that special friend! The details are just wonderful. Each stamp is perfect. blog for many other ideas and projects. Until next time- Keep on creating! 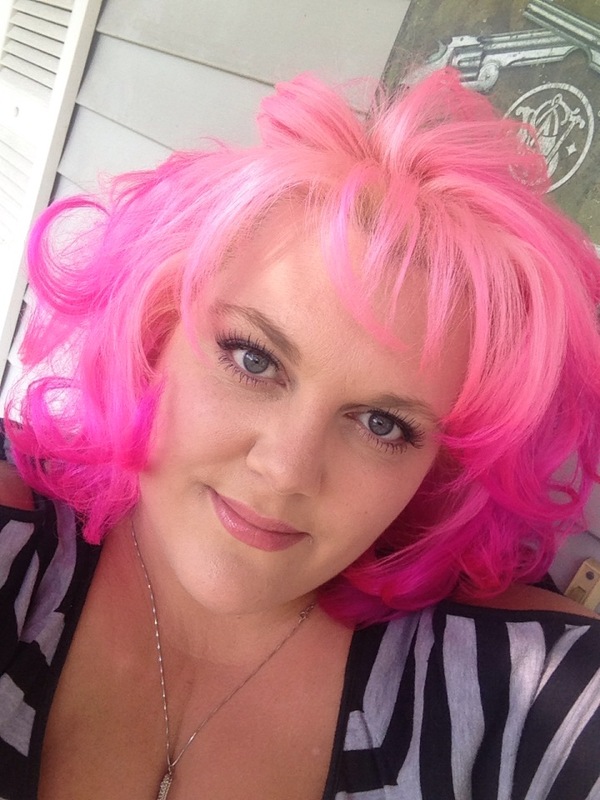 This is gorgeous, Pinky. I love this style card, and your whole composition is awesome. TFS. I plan on trying one of these cards myself. This is a great card Pinky! Thanks for connecting me to this blog.